iOS 10 will include over 100 new emoji. Apple things that’s about five too few. Apple’s Peter Edberg, a software engineer that’s been with the company 28 years, reached out to the Unicode Technical Committee recently and shared five mockups that he — and Apple — think should be included. 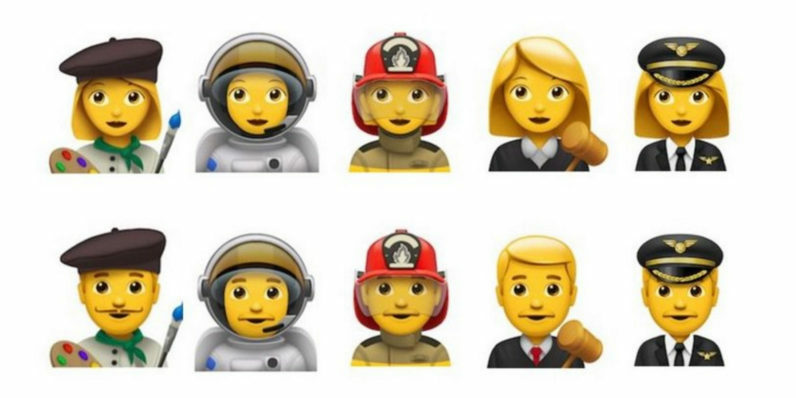 The new emoji — an artist, firefighter, pilot, judge and an astronaut — would be in addition to the 72 new emoji Unicode just approved, most of which have made their way to iOS 10 beta. The bacon emoji is noticeably absent. Apple also wants the emoji to be inclusive of both sexes and additional races, as well as providing a “fallback example” showing what it takes to express each in currently existing emoji. The artist, for example, can use a standard face and a color palette. Unicode has yet to reply to Apple’s request. It’s likely, however, that the new emoji would make their way into the next batch of approvals, given Unicode’s relationship with Apple.